By David Ponce on 02/10/17 • Leave a comment! We’re sure you’ve seen it: wine snobs sniff their wine. There’s a reason for that, of course, but if you’re the type to buy $5 twist-offs, you might not care. That’s fine. 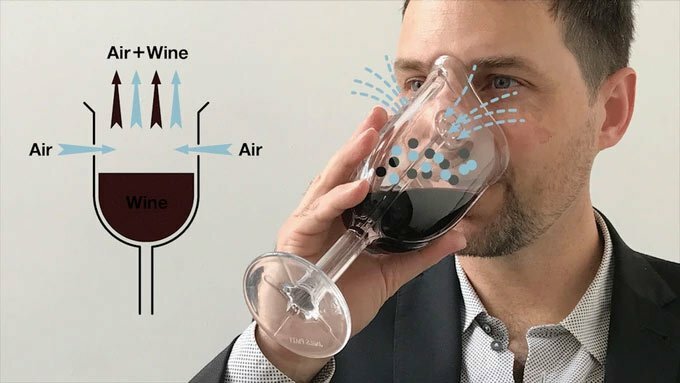 The more discerning folks however might actually take a liking to this Wine Glass Mask, a wine glass designed specifically to enhance the bouquet of a wine and make it possible for you to get as much of it in your nostrils as possible. It’s shaped kind of like a facemask with some ventilation holes to allow for better airflow, which should go a long way to maximize that oxygen/wine scent mix. And yes you’re right, it does look stupid and we’re hoping that what it lacks in the looks and class department, it at least makes up for in taste and aroma. It’s currently getting crowdfunded, and a $15 pledge will get you one… but only if it funds, which seems doubtful at the moment. Still, with 22 days to go, anything is possible. By David Ponce on 01/23/17 • Leave a comment! We all love a good glass of wine, but the sulphites added during the manufacturing process as preservatives tend to screw with the taste, and give many people some memorable headaches. 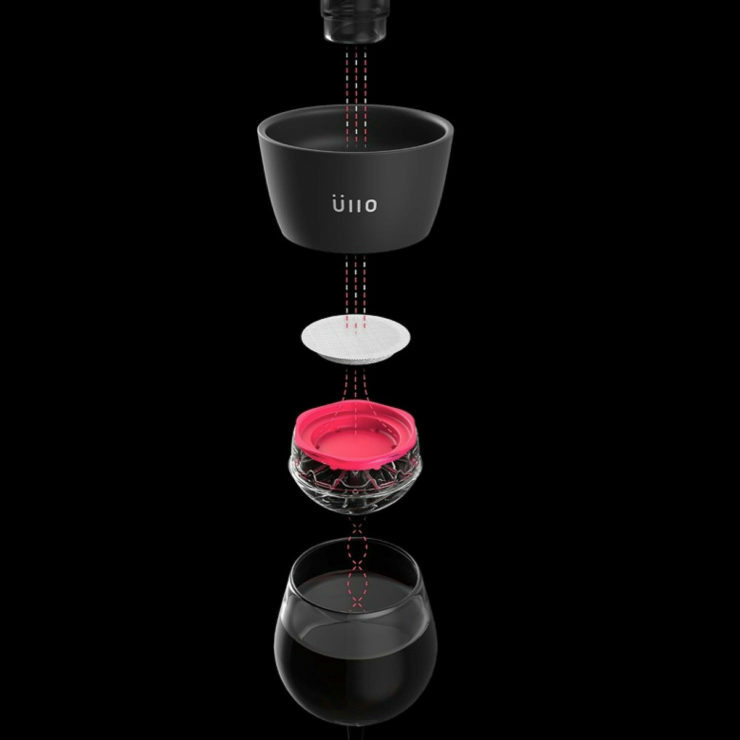 The Ullo Wine Purifier uses “Selective Sulfite Capture™” polymers to remove almost all sulphites from your wine, while an adjustable wine aerator can selectively oxidize and mellow the wine right as you pour in into your glass. 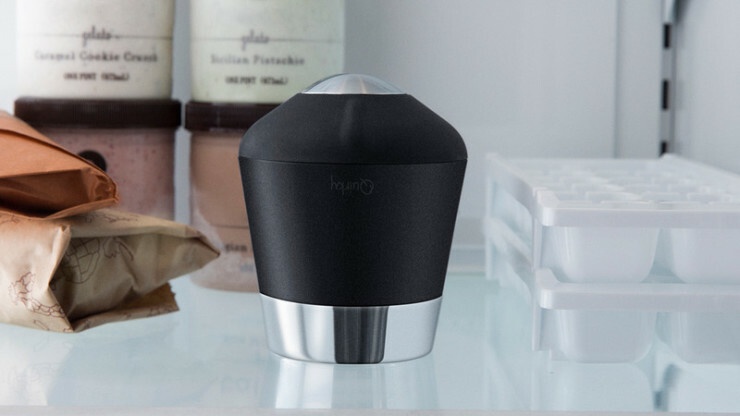 It is well reviewed and appears to do what it claims, although you’ll have to pay to play: the device itself is $79, while a pack of 6 filters will set you back $20, with each filter being good for only one 750ml bottle. By David Ponce on 09/06/16 • Leave a comment! 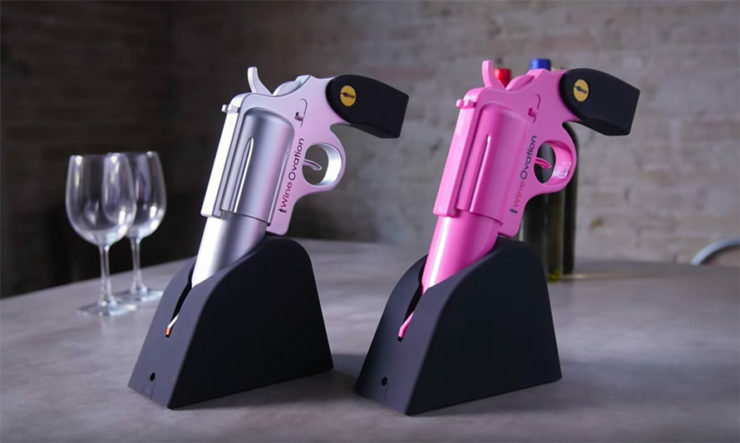 We’re not sure who this is going to appeal to, aside from maybe the most fervent NRA members, but there you have it: a gun-shaped wine bottle opener. 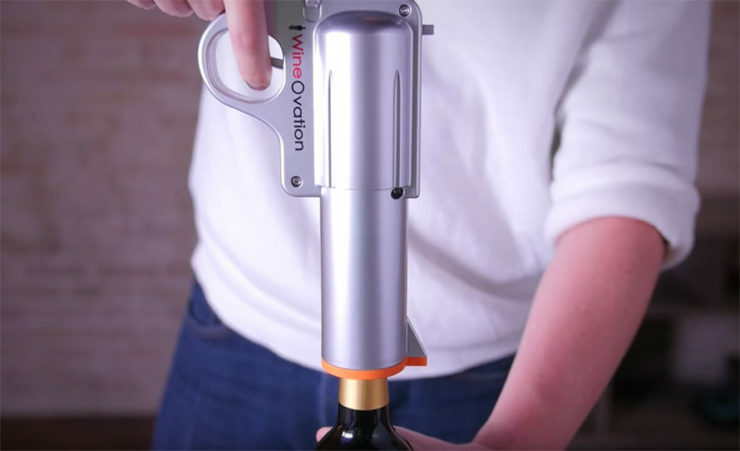 Yes, the WineOvation is a device meant to look exactly like a revolver, and whose only purpose is to open wine bottles. You unholster the thing, insert the bottle, and pull the trigger. The mechanism will slowly pull the cork out and stop when it’s done; pushing the trigger the other way will spit it back out. We suppose it’s worth a couple of comments from your guests the first time they see it, and for $40, we suspect it’s worth the novelty. By David Ponce on 07/07/16 • Leave a comment! By David Ponce on 12/21/15 • Leave a comment! The best place to keep a fire extinguisher is somewhere where you can reach for it quickly. But, in the name of keeping an aesthetically pleasing environment, we tend to hide them in cabinets, under the sink, or someplace out of sight. That could add a few seconds of frantic looking around until you can save your home from a fire. 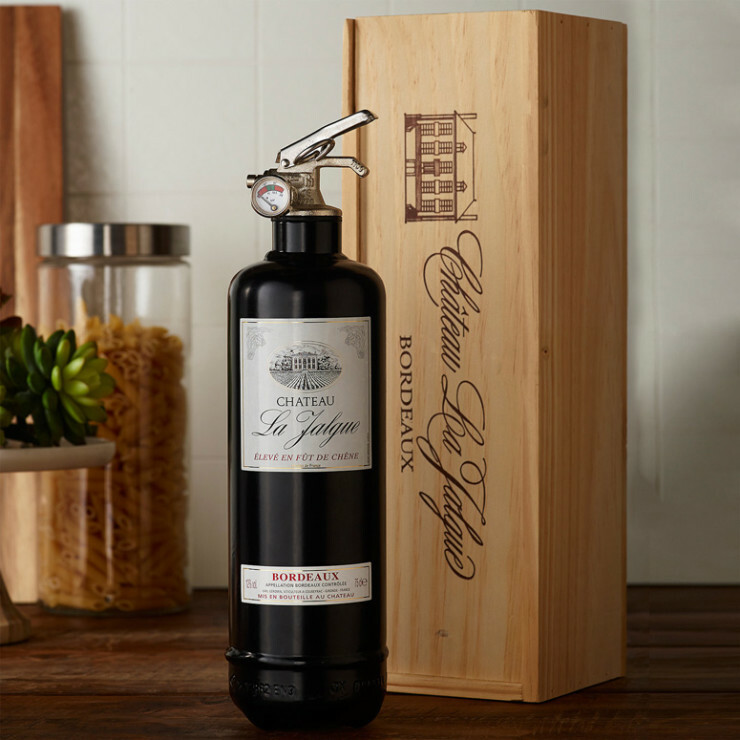 So to solve this issue, The Wine Bottle Fire Extinguisher looks like a standard bottle of red wine, and would look just fine sitting among your carefully thought out decor. Of course, in your panic you’ll have to remember to reach for this rather than your fancy Bordeaux, but we think it’s a decent effort to combine form with function. It’s $149 and comes in a nice wooden gift box. By David Ponce on 09/23/15 • Leave a comment! We come across a lot of wine racks while sourcing content for OhGizmo! 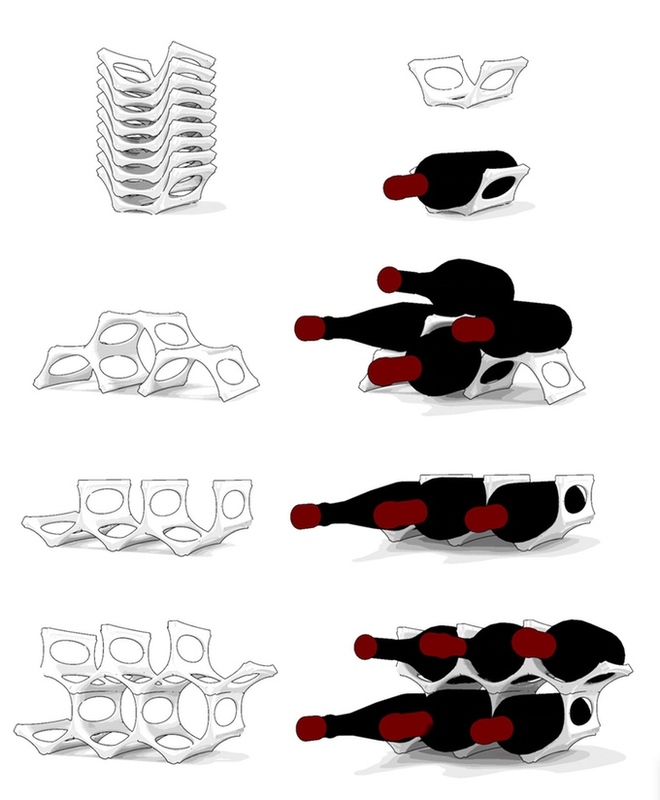 But we’ve rarely seen a product as ingenious as the GustaVino 3D printed modular wine rack. 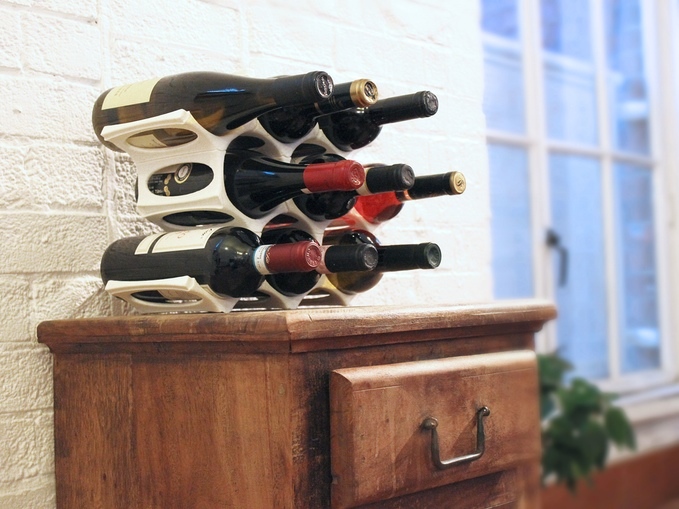 By using some clever hexagonal geometry, the modules are able to accommodate wine collections of varying sizes without leaving many empty spots as your numbers dwindle. The basic three-piece kit can handle between 1 and 4 bottles with just a little reconfiguration, for instance. And as your collection grows, you can simply add more hexagons; the modularity allows you to build out the overall rack in different ways, and let your imagination run wild. You can purchase the digital file for £19, and print as much rack as you want at home. But if you don’t just happen to own a 3D printer, prices for pre-made modules start at £19 for a 3-piece kit, £39 for a 6-piece, and up to £137 for a 24-piece monster. There’s nothing like unwinding with a glass of wine at the end of a long day. But how much wine is just right or just enough for whatever stress you’re trying to relieve? 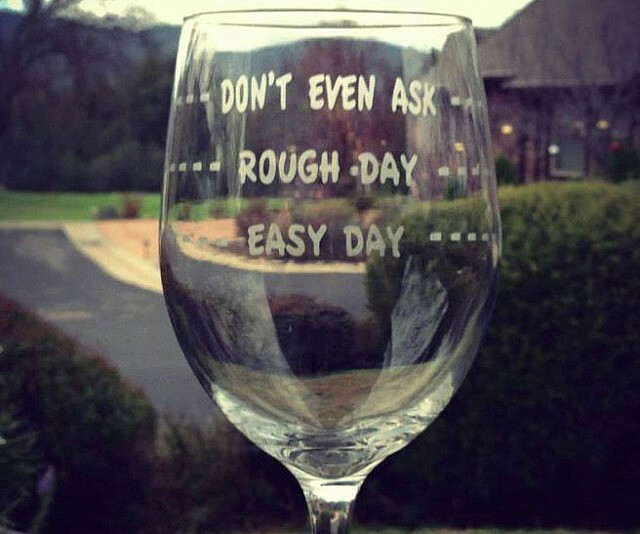 Although not accurate for everyone, the ‘Rough Day Wine Glass’ provides a good-enough estimate. Have half a glass for a day that was just like any other, pour more into your glass if you had a particularly rough day, or fill it up to the brim if you just want to forget it all. 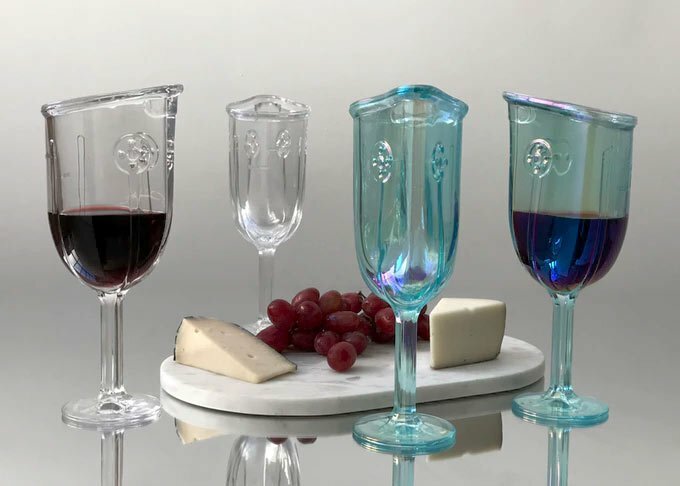 The quirky wine glass is sold in pairs and is available online for $24. By David Ponce on 05/01/15 • Leave a comment! Good wine can be fussy. It needs to be served chilled, and preferably let to breathe for a bit. But with the Ice Cap, you can expedite the process somewhat. 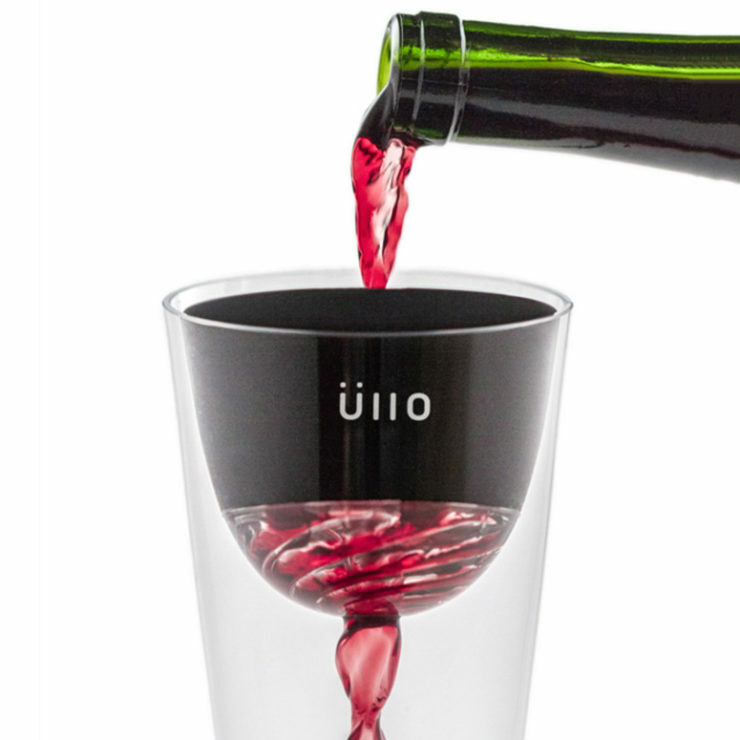 It’s a refrigerated funnel of sorts that cools and aerates your wine as you’re pouring it into your glass. Simply place the Ice Cap in the freezer for a few hours, then place it on top of your glass and pour your room-temperature wine. 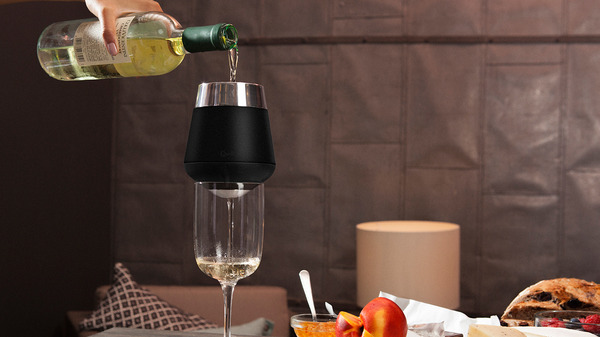 The wine will run through the chilled coils, aerating and cooling down at the same time, dropping any beverage’s temperature by up to 10 °C in seconds. We’re not sure how many glasses it’s able to handle before it need to be cooled down again, but we can’t imagine it not being able to handle at least a couple of them. For $35, it’s a handy gadget to keep in the kitchen. 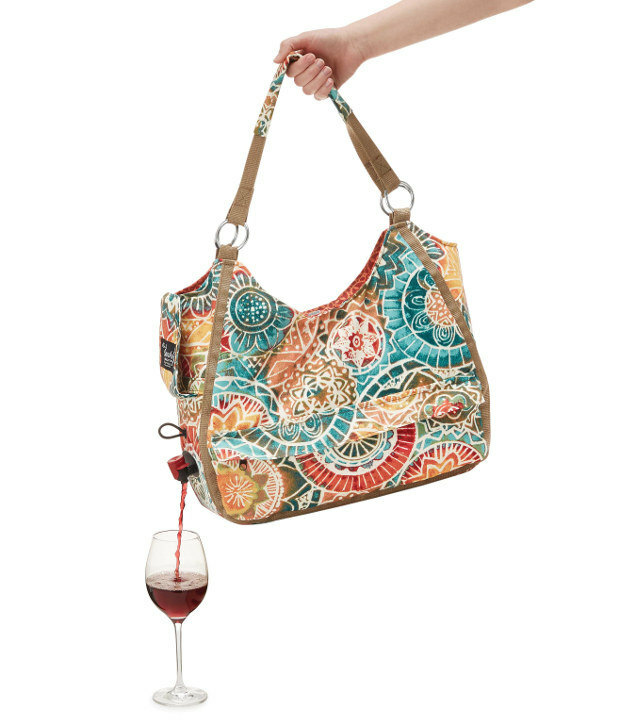 Transporting wine, liquor, and other liquids can be a pain, specially if you have to go through the TSA. Nothing feels worse than opening your luggage and seeing your clothes and underwear soaked with the contents of that pricey bottle of wine. 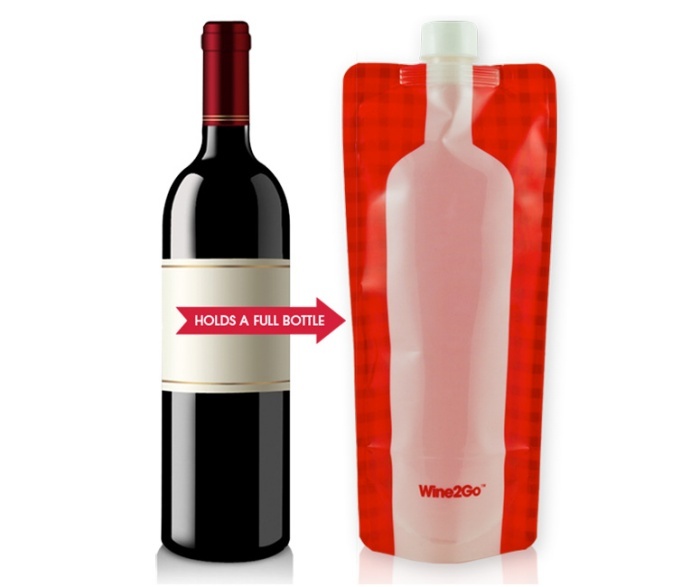 If you can do without the bottle and only want to bring the contents back home to enjoy, then you’ll find Wine2Go useful. It’s a foldable wine bottle flask made from BPA-free plastic, so you don’t have to worry about breakage when you’re transporting your liquor. It can hold up to 750 ml of your poison of choice and comes with a leak-proof cap. Wine2Go is available online for $12.